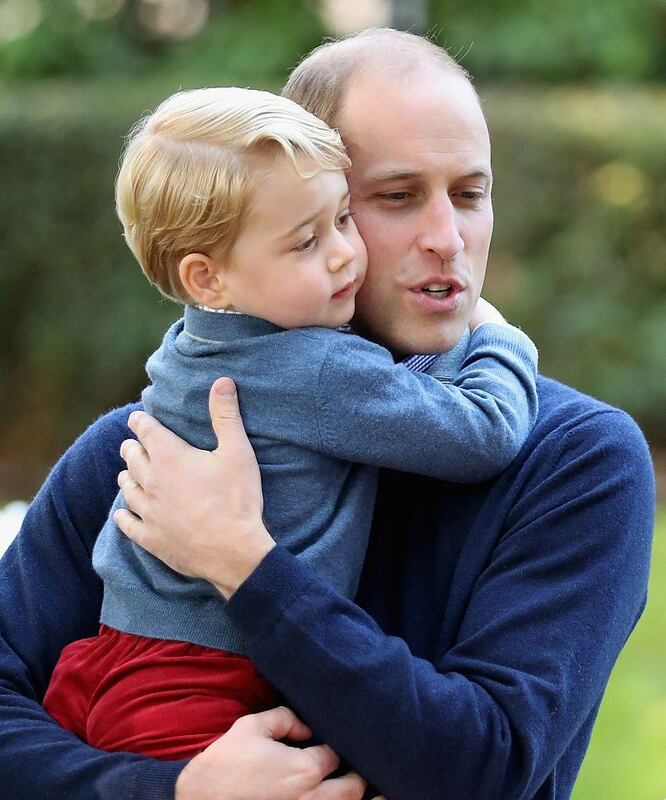 Unlike his sister, Princess Charlotte — who is known for her outgoing, bubbly personality— Prince George is quite shy. However, once he warms up, he is allegedly very chatty and sweet. Who is Prince William and Kate Middleton’s eldest son (and the future King of England) closest to in the royal family? According to reports, the young royal is not a mama’s boy. Who is Prince George closest to in the royal family? Like father like son. 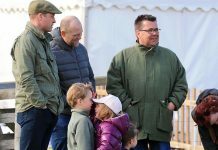 According to an Us Weeklysource, Prince George has an ultra-close relationship with his father, Prince William (and Princess Charlotte is allegedly glued to Kate Middleton’s hip). And, although he doesn’t know it yet, Prince George and his father have a lot in common — especially when it comes to the British line of succession. 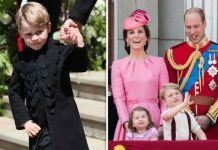 People love to compare members of the royal family, specifically Prince William and Prince George, who both hold many similarities, including their looks. But, their resemblance isn’t the only thing that brings the future kings close. Take a look at Prince George and Prince William’s relationship, ahead. 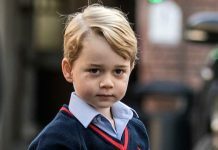 Prince George currently attends Thomas’s Battersea School in Kensington. And, as much as they can, Prince William and Kate Middleton take turns bringing their eldest son to school. The young royal started school at Thomas’s Battersea last year and his father accompanied him to drop off. Royal heirs are not allowed to travel by aircraft or car together for safety reasons. However, Prince William makes an exception for his son. 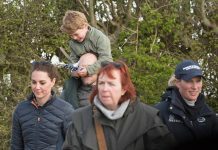 Until Prince George is around 12-years-old, he is allowed to travel with his father on family outings and royal engagements. Prince William found out his royal fate at a young age and it allegedly put an immense amount of pressure and stress on him. So, it should come of no surprise that he doesn’t want the same for his eldest son and future king. 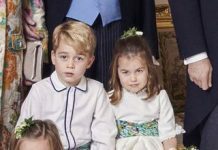 Both he and Kate Middleton have decided to forgo telling their son about his role in the monarchy until he is a little older. Wondering what Prince George calls Prince William? According to Kate Middleton, the young royal calls his father “pops.” How sweet is that? Prince George allegedly loves arts and crafts and, sometimes, his father gets in on the fun. That said, Prince William says his son knows he’s not very skilled with creative activities. “My son knows I’m useless at this,” Prince William said while helping create a banner at an event. “Catherine is the artsy one,” he added. Prince William and Kate Middleton are notorious for breaking stuffy old protocol. And, as it turns out, many royal rules are banned from their home in Kensington Palace. 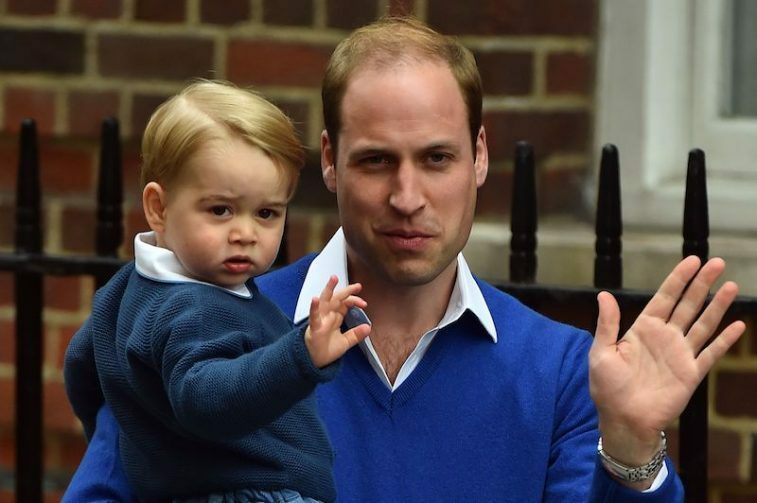 However, it appears that Prince William might have taught his son one royal must-do: The hand wave. Albeit shy, the young royal occasionally waves to the public with his left hand in true royal fashion. While Prince William and Kate Middleton don’t allow iPads in their home, they do allow a little bit of screen time. And, Prince George apparently loves to watch TV with his dad — and gets upset if Prince William doesn’t pay attention. “Some of [the television shows] are really good, but you have to pretend you’re really interested because George gets very upset if you’re not showing due diligence to the characters,” Prince William shared in an interview with BBC Radio 1.